Learn about important steps you can take as a homeowner to reduce your energy use, and your heat and electricity bills. Jenn and Jay Hannigan have incorporated a hybrid combination of wind, solar and thermal to achieve off-grid living in their home. Carbon pricing is a priority of Canadian and provincial governments. That is why the Conservation Council believes this research looking at how framing carbon pricing in a different light can change the way we view the mechanism will be useful tool for New Brunswickers. Watch Dr. Louise Comeau’s webinar on carbon narratives in New Brunswick (Jan 27, 2017). How do you measure forest cover loss in New Brunswick? Let Frank Johnston from the Conservation council of New Brunswick South East Chapter explain how he measured the loss of forest vs. what is regenerated in order to show us just how much of New Brunswick Crown Forest is being cut. Got a great jack pine or another great tree to nominate? The Conservation Council is receiving many great tree nominations for a 2018 book on our great trees but so far our charming scrubby pine is one tree that is missing. We know someone out there has a wonderful story to share about a jack pine. Send your great tree nomination to Tracy at forest@conservationcouncil.ca. Looking for local? Well look no further! Enjoy this short video made by Samantha Phillips introducing you to a one of a kind cafe in St. Andrews by the Sea – the Honeybeans cafe! If It’s a cold one, bundle-up with a good book and try some of their organic coffee, or, Loose leaf tea and fresh baked snacks. Otherwise, cool-down from a day on the water with one of their many frozen drinks! Find them on Facebook by searching @honeybeanscafe, or visit them at 157 Water Street, Saint Andrews, New Brunswick. What’s better than watching your young ones splash about their summer swimming hole, roll-around in a colorful and crisp pile of freshly raked leaves, and appreciate New Brunswick natural heritage — now, imagine your child’s classrooms experience took place in nature? Enjoy this short video created by our talented new intern, Sam Phillips, giving you a inside-look at our Learning Outside Program, where the Conservation Council’s Nadine Ives helps children re-connect with nature by developing creative ways to integrate nature into the teaching of school subjects. The proposed Energy East pipeline would be the first oil pipeline built the length of our province. It will carry 1.1-million barrels of crude oil per day from the tar sands in Alberta to facilities in Quebec and Saint John, where the majority will be exported to foreign markets. The National Energy Board must approve this project and if you stand to be affected by it, you can have a say. Watch this instructional video to learn how you can participate in the energy board hearing and speak up on behalf of our water, whales, and the Bay of Fundy. This short video with animated maps by the Conservation Council shows remarkable forest loss in New Brunswick from 2000 to 2013. The maps reveal that New Brunswick is no longer home to large intact forest areas. 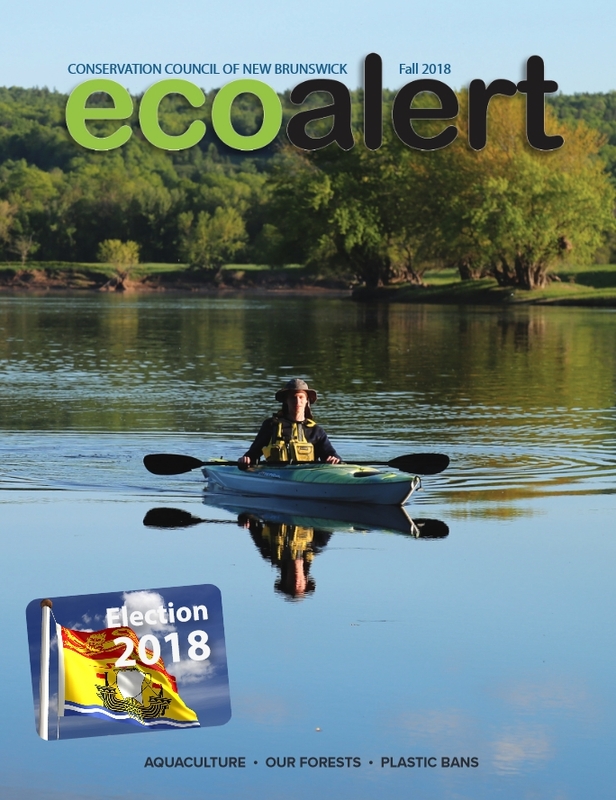 The Conservation Council is concerned that the New Brunswick’s forest strategy will further degrade the province’s endangered forest at a time when the province needs to manage the forest for diversity and resiliency to protect our vulnerable wildlife, our rivers and streams and our people who depend on the forest for a living. A movement toward renewable energy is occurring throughout New Brunswick. Follow Raphael Shay as he tours the province of New Brunswick talking with people who are building a renewable energy future that harnesses the power of water, wind, sun, biomass and biogas. Features Joe Waugh, Efficiency NB; Charles Martin, Edmundston Hydro; Paul Cunningham, Energy Systems and Design; Leonard Larocque, Lameque Wind Cooperative; Jason Juurlink, Falls Brook Centre; Roland Chiasson, Cape Jourimain; Ken Hardie, NB Federation of Woodlot Owners; Esther Samson, Twin Rivers Paper; Jacques Laforge, Biogas; and Marc MacLeod, Fundy Region Solid Waste Commission. 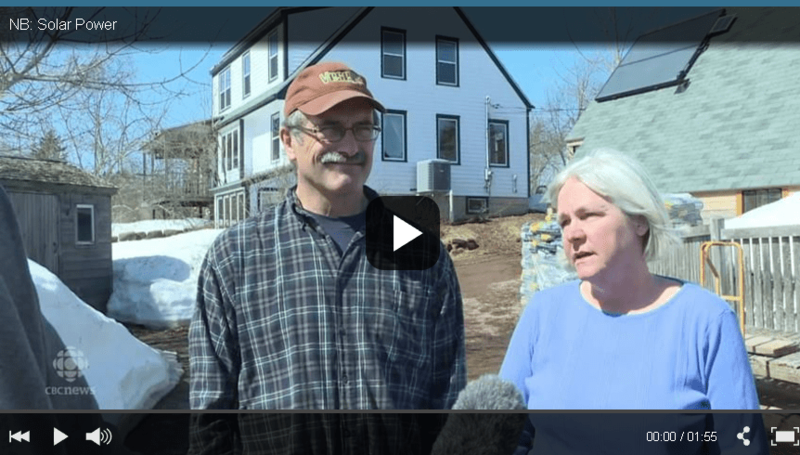 A fun video on the Conservation Council’s Fundy Baykeeper Matt Abbott. Video by Amelia Secord. Too much fun goes into organizing the Upper Miramichi Forest Festival. Video by Amelia Secord. The Fundy Baykeeper organizes the Musquash Paddle every year in August. Fundy Baykeeper Matt Abbott on the Alewife Run 2012. A video by Amelia Secord. Fredericton residents worked to save the Sunset berry fields and forest in the summer of 2012. Video by Amelia Secord. About 700 rallied against shale gas in downtown Moncton on June 2, 2012. Video by Amelia Secord. CCNB’s Tracy Glynn and Amelia Secord visit Graham Lyons and his fiddlehead production in Upper Miramichi. Graham calls the forest his office. Video by Amelia Secord. Greenpeace Canada’s Oceans Campaigners visit Fundy Baykeeper Matt Abbott in 2012. Video by Amelia Secord. Keswick Ridge School is getting kids back in nature.